We look at a couple of images from Rudge – the company that always trod their own path. that matter: 011 Machines Rudge Ulster It was the racer for the masses from the company that always did things their own way. Let us come to you, every month – saving money as well. What’s not to like? Tell us your stories, show us what we’ve got wrong and share a laugh! 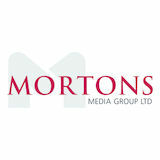 We ﬁnd the latest products that may be of interest to you. It’s a tat-free zone! Despite an engine that spent life as a generator in Lancaster bombers, the Trophy became a true classic. It’s handsome, usable and sounds great. It’s also small, but packs punch. What’s not to like about the V50? Loved across the world, but the Bantam Bushman was, and still is, a rarity in the UK. We look at how Ariel’s super single was viewed when it came out and what it’s like now. 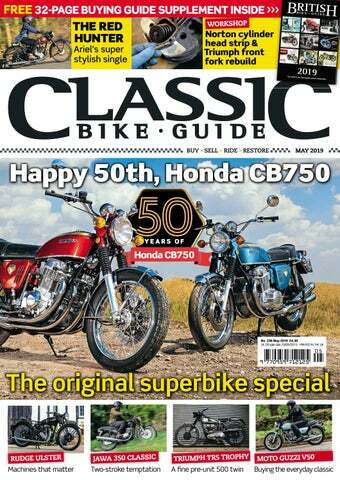 CB750 080 –Honda happy 50th birthday! We are lucky enough to ride one of the earliest production CB750s in the UK. Colin Sealey made some great frames, but the one for the CB750 engine was his favourite. Dust ’em down and head to a show, or feast on burgers and grab that part you need. A look back at how they used to review new bikes, with the original Ariel Red Hunter. NEW RETRO Jawa 350 We look at Jawa’s new 350 Classic. What’s it like and who would it suit? There's more to those black hoops than you think. Steve looks back at when dealers would sell you all you needed to café racer your Japanese bike. Paul faces an awkward decision – ride as is, or restore? Shiny or patina? Our man in the USA takes a fascinating look at the history of speed limits, and speeding. Oli strips and rebuilds his T140 forks, at a show! This month the head comes apart. There’s some good, and some not so good news. ‘Ooh, I always fancied one of those’. Buy it. You deserve it. BSA Beagle – ridden one? We haven’t, but Frank ﬁnds he’s a soft spot for the little Beeza.